Be the first to order mapping for the brand new Mk8 1.0l EcoBoost Ford Fiesta. Pumaspeed now has its own Mk8 Fiesta ST-Line car and the mapping and upgrades have begun. The new generation of Fiesta EcoBoost is perfect to tune. Add some simple breathing modifications and calibrate the ecu and the engine responds with a great urge without over stressing any of the standard components. 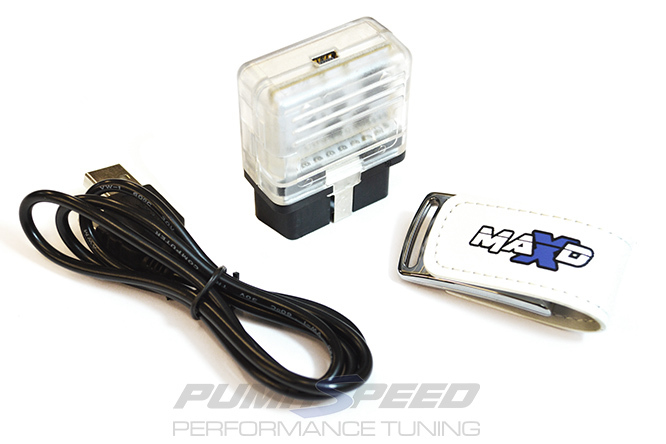 Our Maxd Out mapping can be used on a totally stock engine as the first stage of any power enhancement, or added to a car with a few simple modifications to create a little more power up to around 155-160bhp. We have had our Fiesta over 7 months and it has been heavily tested both on the road in everyday situations and on our development dyno simulating the very harsh conditions of high performance driving. Full graph to be released very soon but 40-45NM and 25BHP extra in the mid range changes this car into a little pocket rocket. Pumaspeed have a specialist distribution team that can dispatch the *MK8OC* MAXD-OUT Tuning Box - Mk8 Fiesta 140 EcoBoost Stage 1 to any destination worldwide.